I'm trying to resuscitate this blog. 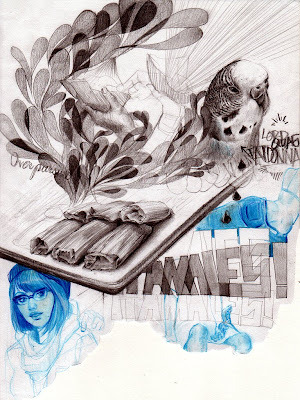 Here's something from my sketchbook, drawn while "helping" my Mom make tamales and then later "watching" the raiders win. That's my bird Fat Donna aka Lord Quas.